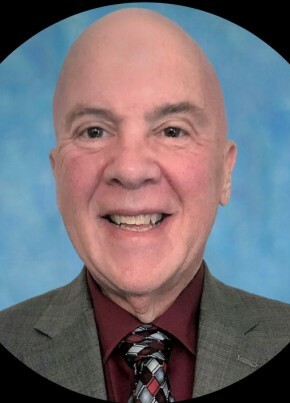 Vincent “Vinny” Rutigliano of Chester, NY passed away on March 16, 2019, at home surrounded by his loving family. He was 64 years old. Born in the Bronx on April 29, 1954 to the late Vito Rutigliano and Yolanda (Micera) Rutigliano. He was a sales representative for Hunter Engineering Company, Chester, NY, and was a President’s Club Performer. Vinny served on the Board of Directors for Brian Ahearn Children’s Fund and was a former president of the Warwick Little League. Vinny had a smile that could light up a room. Being grandpa to his eight grandchildren was his greatest joy. When he wasn’t spending time with his family, Vinny enjoyed golf, watching the NY Yankees and the Giants. He was a kid at heart and his friends always considered him the life of the party. Vinny is survived by his wife of 43 years, Barbara (nee Spence); son Robert and his wife Julie of Ramsey, NJ; daughter Andrea Roe and her husband Bill of Warwick, NY; son Richard and his wife Melissa of Hoboken, NJ; mother, Yolanda Rutigliano; eight grandchildren: Brooke, Robert, Megan, Gavin, Chase, Bennett, Sloane and Vincent; brother Anthony and his wife Liz of Secaucus, NJ; sister Karen Horn and her husband Kenny of River Edge, NJ; many cousins, nieces and nephews; sisters-in-law Linda(Jim) Delaney, Donna(Walter) Burke, Debra(Michael) Ianelli, Theresa(Jeff) Friedemann, and Patricia Heffren; brother-in-law John (Jeanine) Spence; and father-in-law Harold J. Spence. He was predeceased by his father, Vito; brother Marc Rutigliano and mother-in-law, Barbara Spence. Visitation will be held on Tuesday, March 19 from 2:00 to 4:00 p.m. and 7:00 to 9:00 p.m. at Lazear-Smith & Vander Plaat Memorial Home, 17 Oakland Avenue, Warwick, NY. A Mass of Christian Burial will be celebrated on Wednesday, March 20 at 11:00 a.m. at St. Stephen RC Church, 75 Sanfordville Road, Warwick, followed by interment in Warwick Cemetery. At the time of funeral service we commemorate and reflect on the life of Vincent Rutigliano. In the days, weeks and months ahead it will be a comfort to family of Vincent Rutigliano to continue to remember a life well lived. Please select a date on the Calendar of Care to be reminded via email to reach out and continue the caring for family of Vincent.